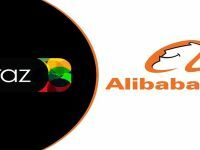 Chinese e-commerce giant Alibaba Group Holding Ltd settled roughly 69 billion yuan ($9.92 billion) in the first hour of its annual Singles’ Day on Sunday, up roughly 21 per cent from last year’s early haul of 57 billion yuan. Alibaba kicks off the annual event with a gala, which this year featured US singer Mariah Carey, a Japanese Beyonce impersonator and a shoe-shopping-themed Cirque du Soleil performance. While sales growth remains steady, Alibaba’s stock has dropped 16 per cent this year amid economic uncertainties linked to brewing trade tensions between China and the United States. While small appliances and cosmetics were strong on Sunday, sales in big-ticket items including large appliances slowed alongside a downturn in the housing market, Alibaba vice chairman Joe Tsai told the press. JD.com, which also does a longer Singles’ Day sales event culminating on Nov. 11, said sales in the period had hit 159.8 billion yuan ($23 billion) this year, up about 26 per cent from last year.